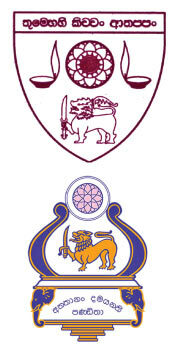 Dharmapala College Pannipitia will host Rahula College Matara for the 8th Battle of the Golden Lions at the P Sara Oval on 5th and 6th of April. The 4th in the series of one day encounters will be played on Sunday (7th) at the same venue. lead the series one nil. They also lead the one day series 2-1. Although Dharmapala hosted the big match at the Tyrone Fernando Stadium in Moratuwa before, they have opted to change venues this year. The two teams are well matched and the only advantage Dharmapala has over Rahula this year is that they play in the elite division I of the schools cricket tournament while Rahula play in division II. Dharmapala playing in Group D were placed sixth in their group with 75.130 points while Rahula fared better by taking third spot in group C of the division II tournament with 99.350 points. Rahula have got their act together in the past month or so and have put on remarkable performances in their traditional encounters against division one teams. A decision is on the cards if the wicket favours spin as the strength of both teams are in that department. Rahula has the services of Chamuditha Dilshan, Thimira Chandika, Ovin Bopage and skipper Sasith Manuranga while Dharmapala will rely on Chamindu Samarasinghe, Shashika Dilshan, Dulaj Egodage and Vihanga Gunawardena. All rounder Sasith Manuranga leads the Rahula team for this years encounter and the final eleven will be selected from Bhagya Ediriweera, Yenula Santhusha, Sithum Anjana, Heshan Dilhara, Pasindu Avishka, Ovin Bopage, Sahan Bandara, Chamuditha Dilshan, Lakindu Chamodya, Tharusha Jayasekera, Manuja Dulneth, Tharindu Rajapaksa, Binara Sanketh, Ruwinda Dilshan, Malindu Hansika and Thimira Chandika. The team is coached by Ranil Rasanga who has Yasiru Hewanadugala who led Rahula a few years ago as his assistant. Manoj Madusanka is the master in charge of the team. Amila Dayanaka who is an aggressive batsman will lead the Dharmapala team on to the field He has Chamindu Samarasinghe as his deputy while the rest of the team will be selected from Avishka Hasarinda, Dulaj Egodage, Vihaga Gunarathne, Rashmika Jayakodi, Shashika Dilshan, Lakshitha Purasinghe, Nadun Hewanayaka, Ashantha Vishwajith, Kavinda Nishantha, Shevon Nadeeja, Tharidu Sadaruwan, Malith Sadakelum, Navidu Naveen and Sanchana Lanka. Pradeep Nishantha has been entrusted to coach the Dharmapala team this season and is assisted by Ishan Anjana Sujith Soysa and Waruna Vithanakanda are the Masters in charge of the team.